What Is The HO-3 Policy And Should You Get One? 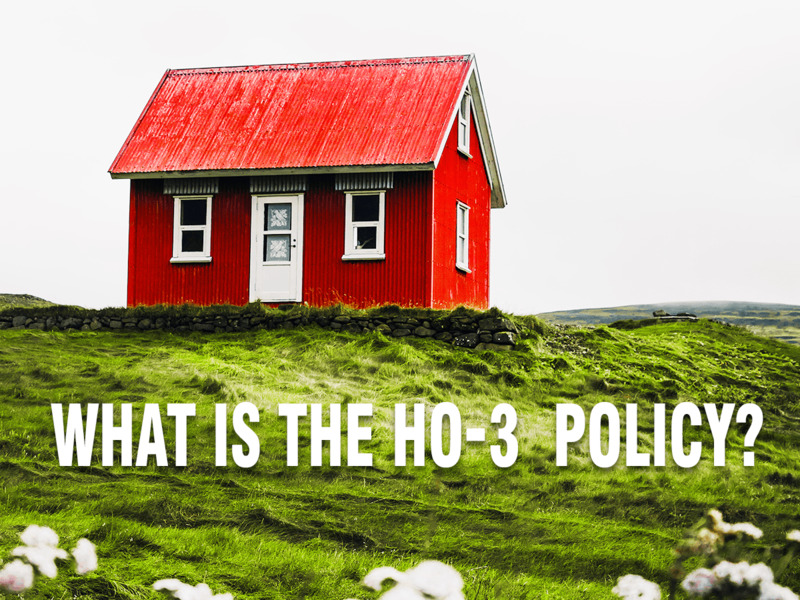 Home>Articles>What is the HO-3 policy? So, you have purchased a home and an exciting new adventure is on the way. Even after you buy a house, there are still many things to be done. While the first thing on people's minds tends to be moving in and getting renovations done; a home insurance policy is even higher up on the list of things to do. One of the insurance policies to consider is an HO-3 policy. An HO-3 policy is one of a number of insurance policies that you can consider. It is the most commonly purchased policy and provides the minimum coverage that homeowners require. The HO-3 policy covers most of the common perils, perils majority of homeowners will want to have insured. It is a hybrid policy, a combination of an open perils policy and a named perils policy. An open perils policy provides full coverage for your home and personal property unless the plan you have specifically excludes it. In essence, it lists the perils that you are not covered for, and you are covered for all other things. A named perils policy, on the other hand, only provides coverage for the things stated explicitly in the plan. An HO-3 policy provides an open perils coverage for your dwelling and a named perils coverage for your personal property. What Perils Are Excluded For My House? When covering your home with an HO-3 policy, examples of things that are not included are power failure, intentional damage or loss, water damage, nuclear hazard, actions by the government, theft, vandalism, fungus, rot, mold, wear and tear, neglect, animals, settling of the home, movements of the earth, collapse of the property, and a number of other things which are also excluded. In some cases, additional insurance can be added to cover water damage, earthquakes, and other perils that are normally excluded. What Perils Are Included For My Personal Property? A wide range of perils are included for your personal property. In an HO-3 policy, you will want to confirm that these are included and named in your plan. Personal property is covered if damaged by smoke, fire, lightning, explosions, riots, hail, windstorms, freezing, volcanic eruptions, the effects of snow and ice, sudden and accidental cracking, and a few others as well. Also, your personal belongings are protected from vandalism and theft. Take the time to look at the named perils in your policy and make sure that you have reasonable deductibles and limits for your specific situation. Who Is The HO-3 Policy Is Suitable For? An HO-3 is a solid plan for homes that are occupied by their owners and smaller apartment complexes ranging between one and four units. Keep in mind that the policy does not include some types of water damage, which should be added on in many cases. The HO-3 policy is a great start to cover all of your basic insurance needs. If you have any questions regarding the HO-3 policies that companies offer, General Insurance is here to help. Here, you can get the best information available, as well as the best policies anywhere. When people purchase a home, it is often their biggest investment, so protecting it is extremely important. Get the best value and the best protection, the peace of mind is well worth it and the financial help in emergencies is vital.